What鈥檚 your favorite pasta shape? If you asked a group of people that question, you鈥檇 probably get a huge array of answers. Some people love the twisty, corkscrew shape of fusilli or the cute bow ties of farfalle. I鈥檝e seen actual grown-ups get into loud fights over bucatini 鈥� the long, thick pasta that looks like a fat spaghetti noodle with a hole running down the middle of it, which can be oddly polarizing among pasta fans, who seem to either love it or hate it. I don鈥檛 know why I love ditalini so much. They鈥檙e just so little and cute, and every time I see them it reminds me of pasta e fagioli. 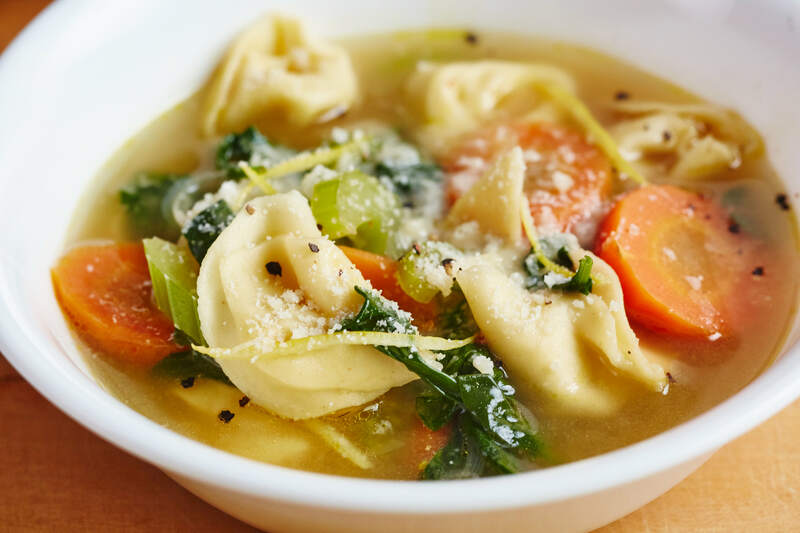 Their tiny size and tube shape make them perfect for putting in soups, just like this extremely simple, five-ingredient Parmesan pasta soup, which is just right for taking advantage of those cute little noodles. The recipe could hardly be simpler. It reminds me a lot of a soup version of cacio e pepe, which is just salt, pepper, butter, and grated cheese tossed with hot pasta. If you have good cheese, you don鈥檛 need many other ingredients to make something delicious. This soup starts out by browning a bit of garlic in butter, then adding chicken broth and dry pasta and letting it boil until the pasta is cooked al dente. Then mix a generous portion of grated Parmesan into the soup, and it鈥檚 ready to serve. (Garnished with a bit more Parmesan, of course.) It鈥檚 perfectly simple, but sometimes the best foods come from just a few good ingredients.